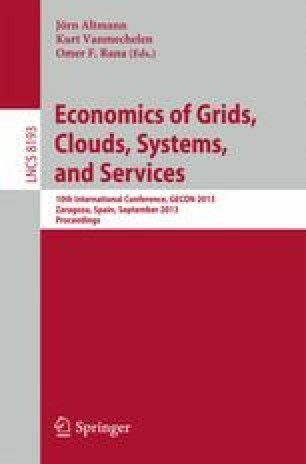 Efficient load distribution plays an important role in grid and cloud applications. In a typical problem, a divisible load should be split into parts and allocated to several processors, with one processor responsible for the data transfer. Since processors have different speed and cost characteristics, selecting the processor order for the transmission and defining the chunk sizes affect the computation time and cost. We perform a systematic study of the model analysing the properties of Pareto optimal solutions. We demonstrate that the earlier research has a number of limitations. In particular, it is generally assumed that the load should be distributed so that all processors have equal completion times, while in fact this property is satisfied only for some deadlines; for many optimal schedules this property does not hold. Moreover, fixing the processor sequence in the non-decreasing order of the cost-characteristic may be appropriate only for Pareto-optimal solutions with relatively large deadlines; optimal schedules for tight deadlines may have a different order of processors. We conclude with an efficient algorithm for finding the time-cost trade-off. 1.School of ComputingUniversity of LeedsLeedsU.K.